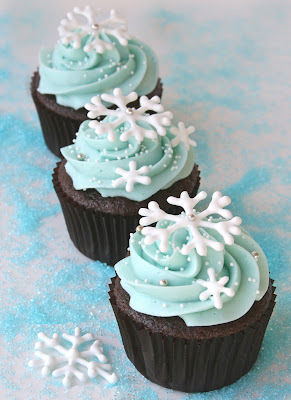 Want to create your own cupcake winter wonderland? Well you can with this step by step guide created by Glorious Treats! The cupcakes themselves are chocolate cupcakes with vanilla cream cheese frosting but the best part about this guide is the instructions on how to make the snowflakes! Check it out here!